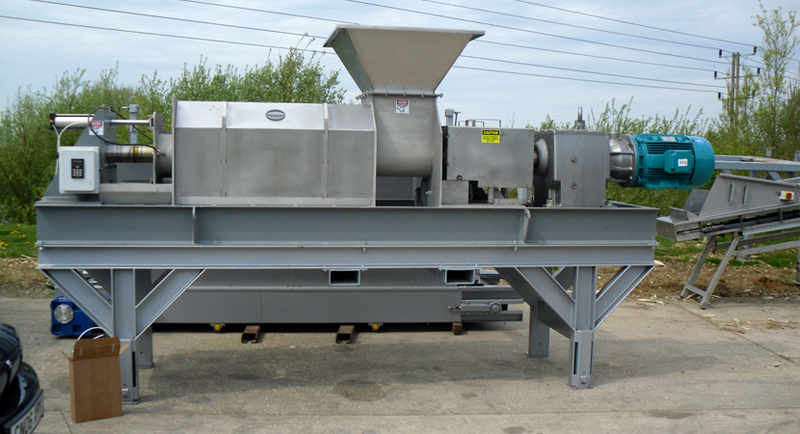 PRM Waste Systems provide a range of Vincent screw presses which are suitable for a range of organic materials. The Vincent is characterised by a screw of progressively reducing pitch which rotates inside a cylindrical perforated screen. Dewatering of fibrous materials has proven successful over a wide range of applications. Waste from produce, canneries, plastic recyclers, breweries, poultry processors and paper mill applications, will dewater with excellent results. 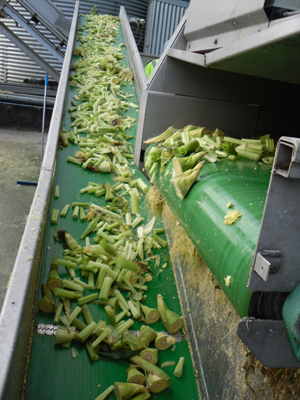 Pressing is controlled by a discharge cone that provides easy adjustment of moisture content. Stainless steel construction and NEMA motors are standard. The graduated pitch and interrupted flight screw design prevents jamming, while Class II gearbox selection assures long life. 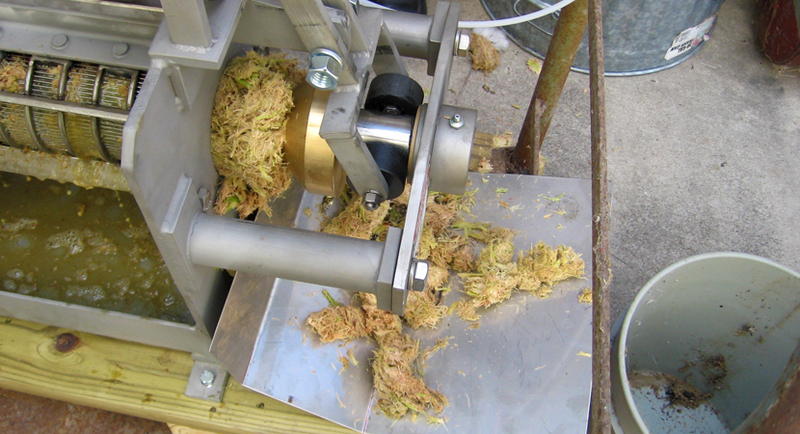 The rotating cone feature eliminates purging conditions. Screen sleeve inserts of 3/32″ and 0.033″ perforation are standard; 0.015″ slotted screens are optional. Vincent screw presses feature the interrupted screw design. This is in contrast to most other screw presses, which use the continuous screw design. The interrupted screw design was first invented and patented by Valerius Anderson in the year 1900. Until that date, the compression screws in screw presses were much like the screw of a screw conveyor. That is, the helicoid flighting started at one end and ended at the other. His invention consisted of putting interruptions in the flighting of a compression screw. It was much like having a hanger bearing in a screw conveyor; there is no flighting on the shaft at that point, so material tends to stop moving toward the discharge. It is only after solids accumulate upstream, in sufficient consistency, that the material in the gap is pushed downstream, to where flighting catches the material. When this happens, material is forced along its way. The result was better dewatering and a more consistent press cake. The interrupted screw design also means the Vincent gives fantastic shredding results.